Pollsters and researchers frequently use surveys to gather opinions, by asking respondents to rate their feelings out of five possible responses. This format, known as a Likert scale, is sometimes averaged to give broad estimates of approval or disapproval. It's a simple calculation, but it isn't necessarily as useful as it seems. The Likert scale is named for its creator, American scientist Rensis Likert, who felt that surveys yielding only yes-or-no answers were limited in their usefulness. His innovation was to make a statement instead of asking a question, and then ask respondents to rate the extent to which they agreed or disagreed with the basic statement. That opinion is expressed on a five-point scale with the midpoint representing a neutral opinion, and the other four choices expressing mild or moderate and strong agreement or disagreement. 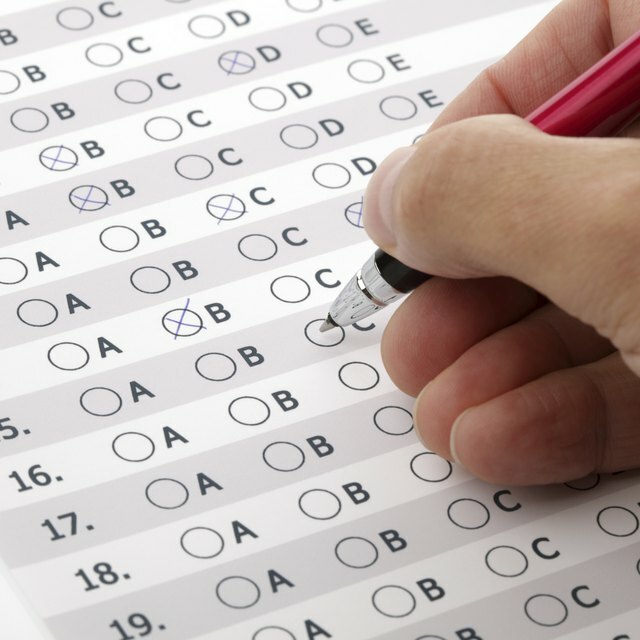 Survey questions using the same structure but a different set of options – such as "on a scale of 1 to 5 how likely are you to..." – are referred to as Likert-type or Likert-like, and operate in much the same way. Because Likert and Likert-like survey questions are neatly ordered with numerical responses, it's easy and tempting to average them by adding the numeric value of each response, and then dividing by the number of respondents. "Strong Agreement" is usually assigned a value of five and "Strong Disagreement" a value of one, so any average resulting in a number greater than three – the midpoint of the scale, and its neutral value – could be construed as overall approval, while a value below three would indicate disapproval. Converting responses to a Likert-type question into an average seems an obvious and intuitive step, but it doesn't necessarily constitute good methodology. One important point is that respondents are often reluctant to express a strong opinion and may distort the results by gravitating to the neutral midpoint response. It also assumes that the emotional distance between mild agreement or disagreement and strong agreement or disagreement is the same, which isn't necessarily the case. At its most fundamental level, the problem is that the numbers in a Likert scale are not numbers as such, but a means of ranking responses. If the numbers are replaced with the letters A to E, for example, the idea of averaging them becomes patently absurd. There are more constructive ways to approach Likert data. The simplest is to calculate a median, rather than a mean. Arrange the responses in sequence, and look for the response that falls at the numerical midpoint. If you had 100 responses, for example, that would be the 50th response. A median that's 3 or greater indicates that most respondents agreed, while one below 3 indicates that most respondents disagreed. Another common technique is to pool the positive and negative responses together, creating a broad approve-or-disapprove result. Like averaging this is also a weak use of the data, because – again – it fails to account for the differences between mild and strong disapproval. A more useful approach is to list the responses in numerical order, and then divide them into four equal groups. The last number in each group is referred to as the quartile. Now, subtract the first of those numbers from the third, to give you what's called the inter-quartile range or IQR. If your IQR is a one or two, your respondents' opinions are not so far apart. If it's a three or four your, it shows that your statement drew strongly polarized responses. SurveyMonkey: What Is a Likert Scale? Decker, Fred. "How to Average Likert Scales." Sciencing, https://sciencing.com/average-likert-scales-6181662.html. 09 March 2018.